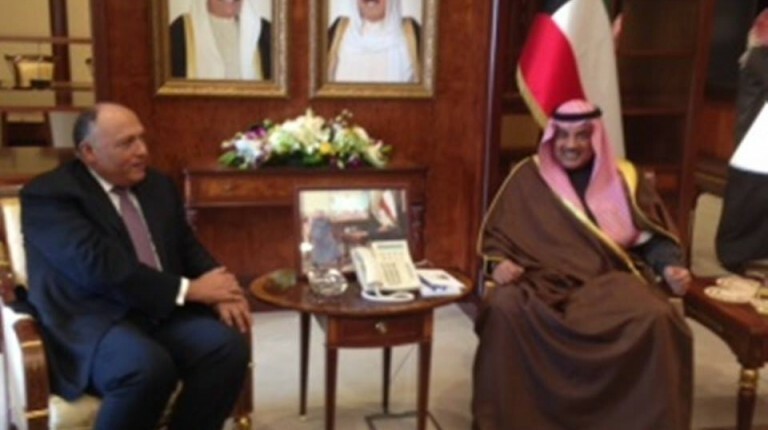 Foreign Minister Sameh Shoukry and his Kuwaiti counterpart Sheikh Sabah Al-Khalid Al-Hamad Al-Sabah discussed Tuesday Arab harmony and Kuwaiti efforts to achieve it during Shoukry’s trip to the Gulf country. A statement by the Egyptian Foreign Ministry quoted Al-Hamad Al-Sabah as saying the “Kuwaiti people can never forget the support and assistance Egypt provided to the people and leadership of Kuwait during critical moments of history”. 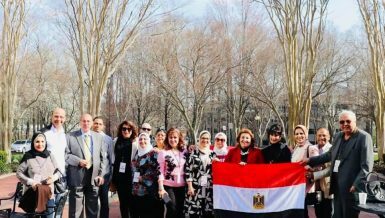 The Kuwaiti foreign minister praised the “positive role” played by Egyptian expatriates in Kuwait in supporting stability and development. 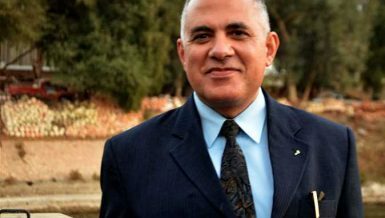 Al-Hamad Al-Sabah said Egypt has enormous potential for human resources and expressed his full conviction that Egypt will rise with “full force”. Meanwhile, Shoukry pointed out that “Kuwaiti support to Egypt is fully appreciated by Egypt’s government and people”. Kuwait has been one of Egypt’s biggest financial backers since July 2013. 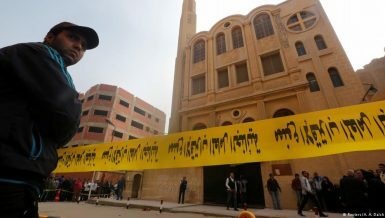 The Gulf country has since given Egypt a $1bn non-refundable grant and a five-year $2bn deposit to the Central Bank of Egypt. Kuwait also supplied Egypt with $1bn worth of petroleum products. The two sides signed 12 cooperation agreements and memorandums of understanding in various fields, including industry, housing, education, culture, sports and media. During the talks, Shoukry addressed the importance of more cooperation between the two countries and the importance of speeding up the activation of the agreements. The foreign ministers held the talks within the context of the ministerial meeting of the 10th round of the Egyptian-Kuwaiti joint committee. 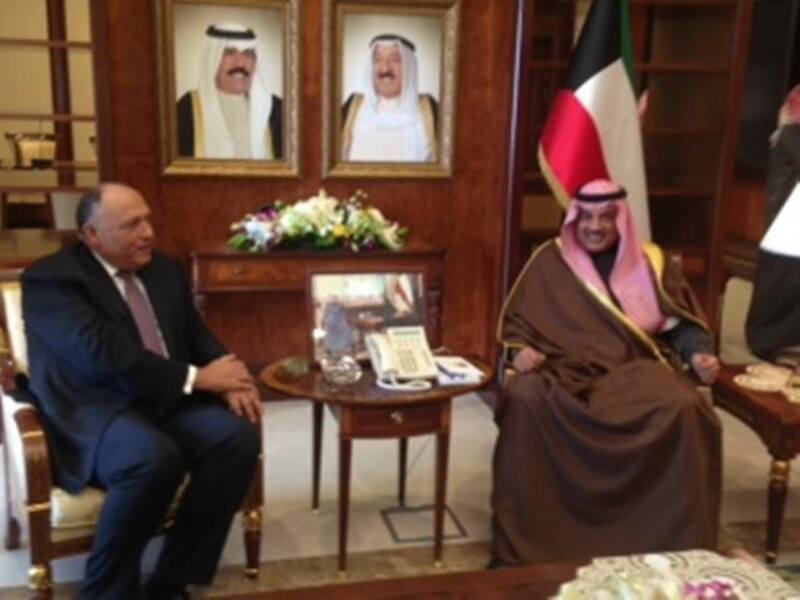 Shoukry led an Egyptian delegation to Kuwait, arriving Monday for a three day visit. The Kuwaiti and Egyptian foreign counterparts additionally discussed in detail the situation in the region, addressing instability in Yemen, the developments in Iraq, the continued bloodshed in Syria, and the “Libyan crisis and its impact on Egyptian national security”. Shoukry was also received by Kuwaiti Prime Minister Sheikh Jaber Al-Mubarak Al-Hamad Al-Sabah, the Kuwaiti news agency KUNA said. Kuwait was quick to support the power shift that swept the country in 2013, leading to the ouster of former president Mohamed Morsi. 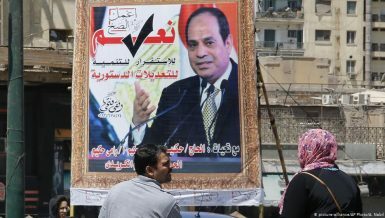 Kuwait, along with Saudi Arabia and the United Arab Emirates promised Egypt aid totalling $12bn, just days after Morsi’s removal.